Reddit is now offering users their own profile pages. These profile pages will provide users with their own tiny slice of Reddit to do with as they please. Reddit’s profile pages are currently being tested by a handful of users, but will eventually roll out to everybody. It’s fair to say Reddit isn’t the easiest website for n00bs to use Your First Day On Reddit... Fixed Your First Day On Reddit... Fixed Reddit is emerging as a true force on the Internet, which explains its inclusion in our list of wonders of the Web. It's a source for news and interesting factoids, the instigator of many memes,... Read More . Is it a news aggregator? Is it a forum for honest and open discussion? Is it a social network? In reality, it’s all of these and more besides. However, Reddit would do well to make itself a little more user-friendly. Lo and behold, Reddit is doing just that. As announced in a post on /r/modnews, Reddit has launched “an early version of a new profile page experience with a few redditors”. These select few include /u/kn0thing, /u/Shitty_Watercolour, and /u/LeagueOfLegends. These new profile pages lets users choose a banner, an avatar, and a short bio. They will also include a user’s posts from across Reddit, and allow users to post to their own profile. In addition, other people will be able to follow these users, and comment on their profile posts. Reddit explains that it’s introducing profile pages as “content creators tell us they have a hard time finding the right place to post their content”. Furthermore, Twitter wants to “support them in being able to grow their own followers”. In other words Reddit is gaining personalities. Reddit has always been an outlier on the internet. 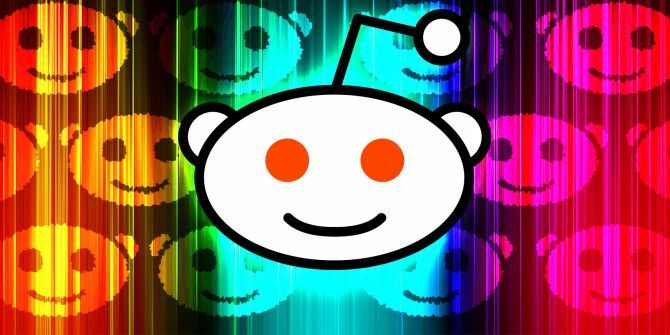 It’s massively popular The 10 Highest Rated Reddit Posts Of All Time The 10 Highest Rated Reddit Posts Of All Time In light of Reddit's recent community outrage, these all-time highest-rated posts give us insight into what the community as a whole actually cherishes. Read More , but impossible to pigeonhole as any one thing. However, by borrowing elements synonymous with Facebook, Twitter, and other social networks, Reddit is signalling its intent to become a social network in its own right. Do you use Reddit? Do you have an active user account or do you just passively browse subreddits? What do you think of the new profile pages? Is Reddit at risk of becoming just another social network? Would that be a good thing? Please let us know in the comments below! Explore more about: Facebook, Online Community, Reddit, Twitter. I'm sure that'll make all the posters on /r/gonewild feel that much more welcome.